Home-made Mediterranean food from 7:30pm / All funds raised from the sale of food at the event will go to the Lesvos Solidarity Refugee Camp [lesvossolidarity.org]. “Rebetiko @ SOAS” music event (8:30-late) with Greek music. 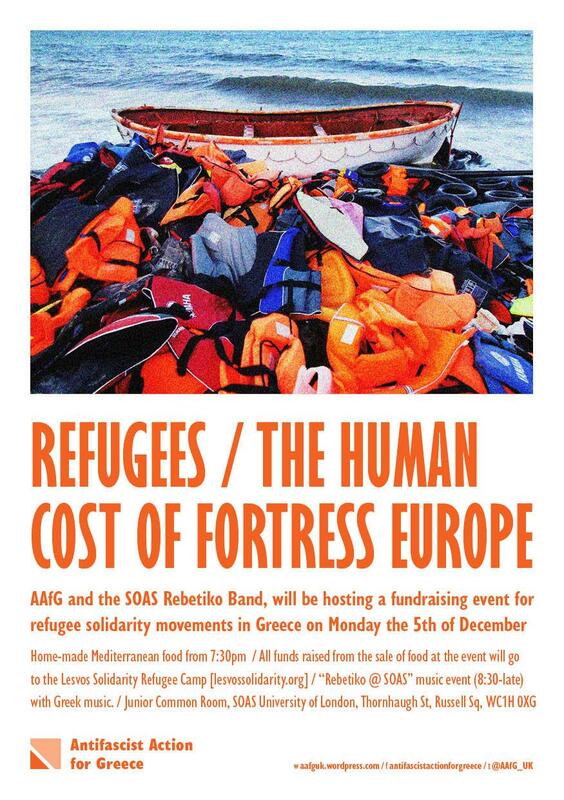 Anti-Fascist Action for Greece commits that all funds will go to solidarity structures that are actively involved in supporting the refugees.